Montreal Museum Of Fine Arts Outdoor Party Opens Next Week! Summer in Montreal is just a dream with so many outdoor events that are open to the public! EC Montreal students can check out a free outdoor party next week hosted by the Montreal Museum of Fine Arts! Between 5 pm and 9 pm, on June 20, this open street party will feature DJ Pierre Kwenders and a full bar for drinks. The event is actually celebrating the opening of “Moving Dunes”, a new public art installation by NÓS Architects, in collaboration with MU. 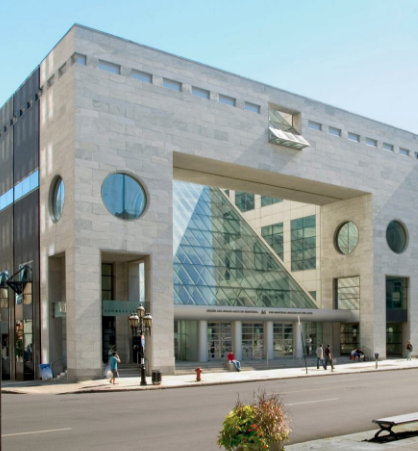 The Montreal Museum of Fine Arts is located on Sherbrooke and Crescent street, in downtown, which is just a short 10 minute walk from our EC Montreal school! You can catch the event on facebook here. Study at our Montreal English Language School and experience the culture in the city this summer!